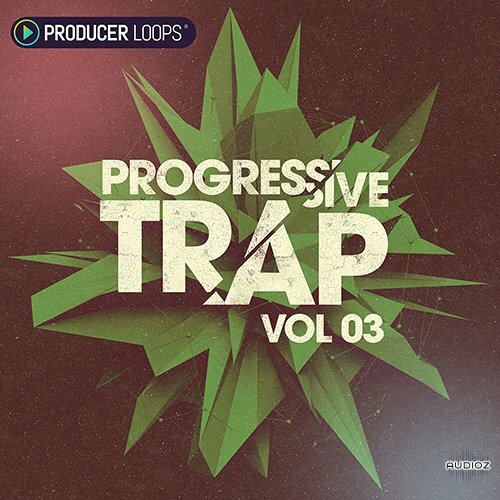 Progressive Trap Vol 3 from Producer Loops features five street-ready anthems designed to ignite your Trap productions and elevate your sound to placement-ready status. Haunting piano melodies, eye-watering snare triplets, deep kicks, mind-altering synths and vocal fragments make this a must-have collection for fans of the dark 808 sound. Undoubtedly the darkest collection in this best-selling series, 'Progressive Trap Vol 3' has all the elements needed to craft tracks fit for the likes of Rae Sremmurd, Gucci Mane, Chief Keef & Machine Gun Kelly. 'Progressive Trap Vol 3' includes MIDI files where possible, allowing you to seamlessly mix your favourite synths and samplers with the sounds contained in the pack. Due to the large amount of hardware used in creating this pack, not all instrumentation is accompanied by MIDI. MIDI has the added benefit of allowing you to go to extremes of pitch and tempo beyond which the loops were originally recorded, with no time stretching or pitch shifting artefacts. Furthermore, you can make tweaks to the melodies so they fit perfectly into your existing mixes. Producer Loops Progressive Trap Vol 3 MULTiFORMAT has been exclusively released on AudioZ by Fantastic who chose to ask not to post mirrors. Trap ??? No... CRAP ! Jeez, Does ANYONE here have a sense of humor?